This is a follow-up to the author’s previous article that explained why the Appellate Division, First Department, was wrong in 2012 when it unanimously upheld a New York lower court’s vacatur of an arbitrator’s award of sanctions against Jack J. Grynberg (“Grynberg”) in Matter of Jack J. Grynberg et al., Respondents, v. BP Exploration Operating Co. Limited et al., Appellants, 92 A.D.3d 547, 938 N.Y.S.2d 439 (2012). That article, entitled Step Back in Time: Curtailing Arbitrators’ Authority to Award Sanctions, was published in the New York Law Journal and related to the vacatur of the arbitrator’s award of sanctions against Grynberg (hereinafter, the “Sanctions Issue”). This article will explain why the First Department was wrong again in 2015 when it unanimously affirmed a lower court’s decision in the same case but on a different issue (hereinafter, the “Signature Bonus Issue”). The Sanctions Issue and the Signature Bonus Issue were only 2 of the 13 issues that were resolved in arbitrations that Grynberg commenced in 2002 against a subsidiary of BP, Plc (“BP”) and Statoil ASA (“Statoil”) pursuant to the terms of two identical Settlement Agreements that Grynberg entered into with each of those companies in 1999. Until recently, the court records in this case were not publicly available because they were filed under seal by the New York courts. However, as a result of a September 8, 2016 decision of the U. S. District Court for the District of Columbia (the “DC Case”), all of the relevant documents that were filed under seal are now publicly available on Pacer as Exhibits in the DC Case (DC Court Index No. 1:08-cv-00301). Thus, the whole story of this case, which Grynberg characterized in his Declaration in the DC Case as “The 13 Year Arbitration from Hell,” can now be told. The Factual Background and History of the Signature Bonus Issue. The key player in this marathon arbitration was, and still is, Jack J. Grynberg, a geologist and professional engineer who amassed a multimillion dollar fortune in the oil and gas business. Grynberg, who speaks Russian fluently, developed a relationship with Kazakh President Nursultan Nazarbayev when he hosted him on a tour of the United States. Grynberg then brokered an agreement between the Republic of Kazakhstan and a Consortium of 7 international oil & gas companies, one of which was BP, whereby the Consortium obtained valuable rights to develop oil and gas reserves in the Kashagan Field in the Caspian Sea area of Kazakhstan. Pursuant to the agreement with the Kazakh government, BP, as well as the other members of the Consortium, was required to make payments to the government of Kazakhstan in the nature of an up-front license fee (referred to as “Signature Bonuses”) in connection with obtaining those development rights. Any dispute hereunder or as to the terms of the definitive settlement agreement shall be resolved in accordance with NY law by binding arbitration in NYC before Stephen A. Hochman in accordance with the commercial arbitration rules of the American Arbitration Association. In January 1999, after lengthy negotiations, the parties reached agreement on the terms of a definitive Settlement Agreement. Because Statoil was the beneficial owner of 1/3rd of BP’s 1/7th (i.e., 14.28%) interest in the Consortium, there were two identical Settlement Agreements, one with BP relating to its 2/3rds share of their total 1/7th interest in the Consortium, and the other with Statoil relating to its 1/3rd interest. Thus, BP owned a 9.52% interest in the Consortium, and Statoil owned a 4.76% interest. If it were not for those Signature Bonus payments (whether they were legal or illegal), BP, as well as Statoil and the other members of the Consortium, may not have had the opportunity to earn the profits they derived from their participation in the Consortium. Because 15% of BP’s profits, as well as 15% of Statoil’s profits, inured to the benefit of Claimants (a total of over $40,000,000), Claimants would not have suffered any damages even if the Signature Bonus payments could be proven to have been illegal bribes. Simply put, Claimants request for an evidentiary hearing on the bribery issue was denied because the issue of whether the Signature Bonuses were or were not bribes is not a relevant issue. The relevant issue is whether the independent auditor was wrong to deduct them in his calculation of BP’s Net Sales Proceeds. The auditor cannot decide the issue of whether the Signature Bonus payments violated the U. S. Foreign Corrupt Practices Act, but he can decide whether the payments should be deducted in computing BP’s Net Sales Proceeds, and he did decide that issue. The 2010 Lower Court Decision on the Signature Bonus Issue. Based on his determination that the sole relevant issue was whether BP paid the signature bonuses, he confirmed the auditor’s findings without pursuing the avenue of inquiry that the petitioners wanted. This determination does not violate any public policy concerns. Similarly Hochman’s denial of the evidentiary hearing and his discussion of the proper standard for burden of proof are irrelevant to his reliance on the fact that the payments were made (see, e.g., Wien & Malkin LLP., 6 NY3d at 479). The Appellate Division Overturns the Lower Court’s Decision on the Signature Bonus Issue. The arbitrator’s failure to determine the nature of the disputed payment warrants the vacatur of award four. Petitioners claim that this payment constituted a bribe. Respondents assert it was a bona fide cost of doing business. We remand for the arbitrator to determine the nature of the payment. Contrary to the arbitrator’s finding, deducting a payment intended to be a bribe to a public official is unenforceable as violative of public policy (see Matter of New York State Correctional Officers & Police Benevolent Assn v. State of New York, 94 NY2d 321, 326 ; Matter of Crosstown Operating Corp. [8910 5th Ave. Rest. ], 191 AD2d 384 (1993]; Penal Law art 200). An arbitrator has a responsibility not only to the parties but also to the process of arbitration itself, and must observe high standards of conduct so that the integrity and fairness of the process will be preserved. Before issuing his 2013 New Award, the arbitrator sent the parties a draft in which he explained why he believed holding the hearings ordered by the First Department would be inconsistent with his ethical duties. He noted in that New Award that he had received a list of the numerous non-parties whom Grynberg stated he would subpoena to testify and a list of the extensive documents that he would subpoena from those parties in his attempt to prove his claim that the Signature Bonus payments were bribes. Hochman also explained that holding such extensive hearings on the bribery issue would result in interminable delay and substantial cost and expense to the parties inconsistent with the goal of arbitration, which is for the arbitrator to decide all issues in accordance with applicable law but in a quicker, less costly and more efficient process than litigation. After the parties received Hochman’s draft of the 2013 New Award, BP and Statoil proposed a solution to his dilemma that would not be inconsistent with his ethical duties, namely to summarily dismiss the Signature Bonus bribery claim because it was not a plausible one under the federal pleading standard announced by the U.S. Supreme Court in Iqbal v. Ashcroft, 556 U.S. 662 (2009). They argued that the bribery claim was implausible because the FCPA criminal indictment of the intermediary who allegedly transmitted the Signature Bonus payments to the Kazakh government officials was dismissed. Hochman rejected that proposal because an award based on such a summary dismissal could risk being vacated because it would deprive Grynberg of the opportunity to prove his bribery claim and thus might constitute a refusal to hear evidence pertinent and material to the controversy -- a statutory ground for vacatur under Section 10 of the FAA. In furtherance of my ethical responsibility to the process of arbitration, I must respectfully refuse to comply with the First Department’s Remand Order to determine the nature of the Signature Bonus payments. That is because the remand was based on the Court’s erroneous holding in reliance on one of New York’s two non-statutory grounds for vacating an arbitral award rather than on the only non-statutory ground for vacating an arbitral award under the FAA, which is manifest disregard of the law, a much stricter standard than either of the New York standards. Grynberg’s Belated and Untenable Bias Claims. When the First Department overturned Justice Solomon’s lower court decision confirming Hochman’s decision on the Signature Bonus Issue, Grynberg went back to the lower court and claimed, for the first time, that Hochman should be removed for bias. On March 12, 2012, soon after the First Department issued its February 21, 2012 decision ordering Hochman to hold evidentiary hearings on the bribery issue that he previously ruled in 2010 was irrelevant, Grynberg made a motion to the lower court to remove Hochman for bias. Undoubtedly, Grynberg made this belated bias claim because he knew perfectly well that Hochman would, as a matter of principle, rule the same way on the Signature Bonus Issue after the First Department remanded that issue to him in 2012 as he did in his 2010 Original Award. On April 2, 2014, Justice Kern granted Grynberg’a motions to vacate the 2013 New Award, remove Hochman as the decider of the Signature Bonus Issue and substitute a new three person AAA arbitration panel to decide that issue. That April 2014 decision related only to the Signature Bonus Issue in the arbitration that was the subject of the 2010 Original Award (the “First Arbitration”), which related to the audit that determined BP’s net profits. Because the audit by the independent auditor to determine Statoil’s net profits had not been completed when the 2010 Original Award was issued, the parties had agreed that any claims or issues that may arise relating to the Statoil audit would be resolved in a separate arbitration (the “Statoil Arbitration”). Although the Statoil audit involved the same Signature Bonus Issue that the arbitrator decided in the First Arbitration, it also involved several other important issues relating to the computation of Statoil’s net profits. Justice Kern explained that her decision to remove Hochman in the First Arbitration was not based on bias but rather on her conclusion that he exceeded his powers, stating that “the arbitrator exceeded a specifically enumerated limitation on his powers when he issued the New Award . . .[and] explicitly failed to follow the unambiguous directive of the First Department that he make a determination as to whether the signature bonus payment was a bribe.” Although noting that it is “within a court’s discretion whether to remit an arbitration matter to the same or a different arbitrator,” Justice Kern based her decision to remit the Signature Bonus Issue to the AAA panel on the fact that Hochman made it clear in his 2013 New Award that, if she remitted the matter to him, he would comply with his ethical obligation to avoid the unnecessary costs, expenses and delay that would ensue if he were to comply with the First Department’s direction to hold hearings on the bribery issue that he previously ruled was irrelevant. Hochman’s Rejection of Grynberg’s Request to Recuse Himself in the Statoil Arbitration. Although I have not finally ruled on any of the claims asserted in the Statoil Arbitration, I have devoted a substantial amount of time in considering the extensive briefs submitted by the parties and in drafting and sending the parties a tentative award on several of those claims. In your 9-page letter dated July 2, 2013, you summarized the voluminous exchanges of emails, letters and other documents and communications relating to the issues in the Statoil Arbitration, including some new issues that you had properly raised. That letter also pointed out that you had brought to my attention and convinced me that Statoil’s $60,253 breach of contract claim was time barred under CPLR § 215, thus requiring Statoil to resort to an equitable estoppel argument in its attempt to collect its claim for arbitration fees against Claimants relating to the First Arbitration. It would be unfair to both parties if I were to shirk my responsibilities by requiring them to start over with a new panel of three arbitrators, especially after so much time and money has already been invested in this Statoil Arbitration. The Arbitrator Explains Why He Should Not Be Removed in the Statoil Arbitration. I believe my ethical duty to the arbitration process includes doing whatever I can to enhance the reputation of the New York courts for expertise in commercial matters and for making legally correct decisions on arbitration issues. The e-mail that I sent to all counsel on September 27, 2012 referring to the Solovay [New York Law Journal] Article was motivated solely by my duty to the arbitration process and desire to increase the likelihood that the Court of Appeals will correct what I believe was the First Department’s erroneous decision relating to the Sanctions Award. My primary duty as an arbitrator is to correctly decide all claims presented to me, based on the applicable law (which includes the FAA to the extent applicable), and to do so as impartially and objectively as would an ideal judge who always made the right decision. As the Original Award made clear, I decided all of the 13 arbitration claims based solely on the applicable law even though the Arbitration Agreement incorporated the AAA’s Rules that empowered me to grant remedies that exceeded the remedies that a court could grant. Because the Settlement Agreements did not provide for attorneys’ fees to a prevailing party, I denied Respondents’ motions for attorneys’ fees (which aggregated approximately $14 million) even though I had the authority to award them pursuant to the AAA Rules. Notwithstanding the fact that the AAA Rules incorporated in the Arbitration Agreement gave me the power to grant any remedy or relief that I deemed just and equitable, even if it exceeded the power that the law gives to judges, I did not exercise that power because I believe that most parties who agree to arbitration, including the parties to this arbitration, do not want arbitrators to disregard the law and decide issues based on their own subjective notions of justice and equity rather than on the objective and thus predictable standards of the applicable law that courts are required to follow. When the parties agreed to name me as their sole arbitrator of any and all future disputes, they evidenced their intention to have me make a final and binding decision based on the applicable law-- i.e., their intent was to choose arbitration instead of litigation, not arbitration and litigation. To increase the likelihood that I will decide all legal issues correctly, my practice is, and has been in this arbitration, to let the parties know which way I am leaning on an issue in order to give the party that I am leaning against an opportunity to convince me that my tentative position is not correct. Thus, before issuing a final award, I send the parties a draft of my proposed award to give them an opportunity to suggest corrections or argue against my tentative decision on any issue. Not only does that minimize the risk that I may make an incorrect ruling, it also saves the parties time and expense by focusing them on the issues that I consider relevant to my goal to make a legally correct decision. Also, in the interest of complying with the intentions and needs of the parties for an efficient arbitral process as well as legally correct decisions, I refuse to permit evidentiary hearings on irrelevant issues or depositions to hear testimony that could more efficiently be heard at a hearing. 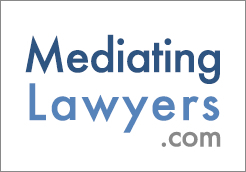 depositions are not appropriate in arbitration except in unusual circumstances (e.g., where a witness may die before a hearing can be scheduled) . . . ,[and] the proper forum to present evidence in arbitration is in an evidentiary hearing at which the arbitrator can keep the questioning focused on the relevant issues in an attempt to keep the arbitration process efficient. Depositions are not only duplicative of the evidence that can be obtained at a hearing, they can lead to costly discovery disputes and lengthy unfocused questioning (and sometimes even witness harassment) that is inconsistent with the goal that arbitration should be more efficient than litigation. Justice Kern’s July 2014 Decision in the Statoil Arbitration. After Hochman refused to recuse himself from the pending Statoil Arbitration, Grynberg moved to (1) reopen Justice Kern’s April 2014 proceeding (2) disqualify Hochman from any further participation in the Statoil Arbitration, (3) consolidate the Statoil Arbitration with the First Arbitration and (4) discharge Hochman from participation as an arbitrator in any of the parties existing or future disputes. The First Department Unanimously Affirms Both of Justice Kern’s 2014 Decisions. What the First Department’s 2015 Decision Got wrong. (c) Remove the parties’ chosen arbitrator because he followed the parties’ order to decide the dispute in accordance with applicable law instead of following the First Department’s order which was based on New York arbitration law, which is inconsistent with and hostile to the pro arbitration policy of the FAA. BP and Statoil’s Motions For Leave to Appeal to the New York Court of Appeals. On September 1, 2015, the Court of Appeals dismissed (but did not deny) the motions of BP and Statoil for leave to appeal the First Department’s unanimous 2015 decision because, under the New York Constitution, the Court of Appeals does not have jurisdiction to grant leave to appeal until all issues between the parties have been finally decided. Although it had been finally decided that an AAA panel will be substituted for Hochman as the decider of all existing disputes, the Signature Bonus Issue of whether Grynberg is entitled to additional profit payments from BP and Statoil will not be decided until the AAA panel decides that issue. Irrespective of how the AAA panel decides the Signature Bonus Issue, once that issue is finally decided, then, and only then, will the Court of Appeals have jurisdiction to grant a motion by BP and/or Statoil for leave to appeal the decisions of the First Department on both the Sanctions Issue and the Signature Bonus Issue, the only clearly existing issues between the parties. However, there are significant dollar amounts at stake in those two issues. As noted above, the arbitrator’s award of sanctions against Grynberg in favor of BP and Statoil totaling $3,000,000 was reversed. Also, $4,166,667 is at stake depending on the outcome of the Signature Bonus Issue (which is 15% of the $27,777,778 in Signature Bonus payments made by BP on behalf of itself and Statoil), 2/3 of which ($2,777,778) were treated as expenses of BP and 1/3 of which ($1,388,889) as expenses of Statoil). In Grynberg’s December 29, 2015 motion to the U. S. District Court for the District of Columbia he argued in his Declaration that the DC Court should decide the Signature Bonus Issue instead of an AAA panel because, since he is the key fact witness who can prove that the Signature Bonus payments were bribes and, because he was then 84 years old, he might not live long enough to prove his bribery claim in the AAA arbitration. On September 8, 2016, the DC Court issued a 22-page decision dismissing Grynberg’s motion to reopen that Court’s 2008 decision that the Signature Bonus Issue should be decided by the arbitrator. Although Grynberg moved to appeal the DC District Court’s decision to the DC Circuit Court of Appeals, that appeal was dismissed on January 30, 2017 based on a stipulation of all parties. WHEN AND HOW WILL THIS STORY END? It is now more than two years after Grynberg made his motion to the DC Court, but it is not yet known when the proceedings before the AAA arbitration panel will begin or what the outcome will be, assuming it follows Justice Kern’s unanimously confirmed order that the AAA panel should decide all existing issues, presently the Sanctions Issue and the Signature Bonus Issue. We can only guess how long that arbitration will take, and it would not be surprising if the losing party on those significant dollar issues moves to vacate the AAA panel’s award in favor of the winner, in which case it may be a long time before both of those issues are finally decided -- a condition that must be met before the Court of Appeals will have jurisdiction to grant or deny leave to appeal the unanimous and erroneous 2012 and 2015 decisions of the First Department. There is also the possibility that the parties may decide to settle their existing disputes, either prior to or during the AAA arbitration proceeding, in which case the Court of Appeals will never get an opportunity to correct the errors of the First Department, which signals that New York courts are hostile to arbitration and unwilling to enforce arbitration agreements in accordance with their terms. This may be a wakeup call to amend the New York State Constitution to give the Court of Appeals jurisdiction to grant leave to appeal a final decision on any issue that has been finally decided by the appellate court even if there remains issues that have not yet been finally decided. It is ironic that if the First Department had, in its 2012 decision, unanimously confirmed, instead of having unanimously overturned, Justice Solomon’s 2010 decision confirming Hochman’s decision on the Signature Bonus Issue in his 2010 Original Award that held the bribery issue was irrelevant, the Court of Appeals would have had jurisdiction to grant leave to appeal the First Department’s erroneous 2012 unanimous decision confirming Justice Solomon’s vacatur of Hochman’s sanctions award. Hopefully, Mr. Grynberg and all others having an interest in the outcome of this case will live long enough to see how this story ends. N.Y.L.J, Aug. 6, 2012, p.7. Matter of Grynberg v. BP Exploration Operating Co. Ltd. 127 AD3d 553, 7 N.Y.S.2d 125 (2015), DC Case, Exhibit 12. Jack J. Grynberg, et al., Plaintiffs, v. BP P.L.C., et al., Defendants, Civil Action No. 08-301 (JDB), 205 F.Supp.3d 1 (2016). A summary of Grynberg’s bio is available in Wikipedia, which is the first of over 100,000 results from a Google search. 2013 New Award, p. 4, DC Case, Exhibit 7. 2010 Original Award, p. 19, DC Case, Exhibit 4. Grynberg v. BP Exploration, N.Y. Sup. Ct. slip opinion 116840-04, Dec. 8, 2010, DC Case, Exhibit 5. In the Matter of Jack J. Grynberg et al., Appellants-Respondents, v. BP Exploration Operating Company Limited et al., Respondents-Appellants, 92 A.D.3d 547, 938, N.Y.S.2d 439 (2012), DC Case, Exhibit 6. Supra Note 5 at 9. Supra Note 5 at 17. DC Case, Exhibit 10, p. 5. Supra Note 5 at 16-17. Supra Note 5 at 19. Supra Note 5 at 6. Supra Note 5 at 7-8. DC Case, Exhibits 2 and 3, §10.04 of both Settlement Agreements. Jack J. Grynberg, et al, v. BP Exploration Operating Company Limited and Statoil, ASA, N.Y. Sup. Ct. slip opinion 116840-04, Apr. 2, 2014. DC Case, Exhibit 8. Supra Note 6 at 18. Supra Note 19 at 5. DC Case, Exhibit 9, p. 1-2. Supra Note 5 at 9-10. Supra Note 6 at 29. Jack J. Grynberg, et al, v. BP Exploration Operating Company Limited and Statoil, ASA, N.Y. Sup. Ct. slip opinion 116840-04, Jul. 17, 2014. DC Case, Exhibit 11, p.7. See the author’s previous NYLJ article cited in Note 1 above for a fuller explanation of why the First Department was wrong in 2012 when it unanimously upheld Justice Solomon’s lower court’s vacatur of Hochman’s award of sanctions against Grynberg. Norman Solovay's present primary focus on alternative dispute resolution (ADR) initially seems at odds with his having spent the major part of his career forming and expanding the litigation department of Holtzmann, Wise & Shepard, a law firm, which, by virtue of serving as general counsel to Allen & Company and the Onassis interests, had an unusually large and varied litigation practice for its size. However, he presently describes himself as a “reformed litigator” and attributes this conversion not only to his experience with the sometimes horrors of drawn out court proceedings but also to his prior frequent involvement in long and costly arbitrations as a result of his firm’s senior partner’s position as Chair of the American Arbitration Association. Solovay now believes that going to court and unnecessarily participating in lengthy arbitrations should be a very last resort. On the infrequent occasions when his designations as a “Litigation Superlawyer” and one of “New York’s Best Trial Lawyers” have forced him back there, he has continued to utilize his listing by the National Academy of Distinguished Neutrals as one of New York’s best mediators in attempts wherever feasible, to settle even the most contentious ongoing litigations.